When you’re ready to lose weight, there are several avenues open to you. The doctors almost always recommend diet and exercise as a starting point, but what can you do when this isn’t working? 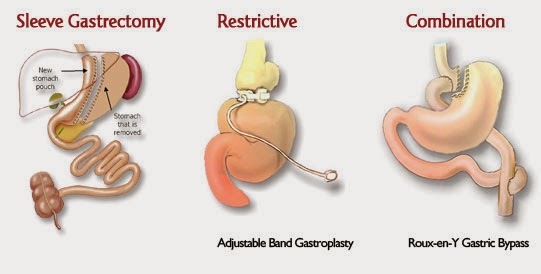 If you need a little extra help shedding pounds, then bariatric surgery may be the right choice for you. Here’s what you should know about this process before you take the first step. While the lap band can help people lose weight, they key to success still lies with dietary changes. This may seem like an overwhelming process, but surgery centers work closely with dieticians and their patients to ensure that people understand what changes are necessary and have the proper support. Bariatric surgery calls for a special diet that will need to be followed for health and the greatest chance of success. There are numerous surgical options, but the lap band requires the smallest incisions and carries the lowest risk of infection. The recovery time is faster, and patients experience a rapid rate of loss. Weight loss is associated with the improvement of numerous health conditions, including acid reflux, sleep apnea, hypertension, diabetes and high cholesterol. Click here to learn more about this weight loss option and discover if it’s the right choice for you. If you’re tired of carrying around the extra pounds and you’re ready to embrace a healthier life, then this type of surgery may be the answer you’ve been looking for.